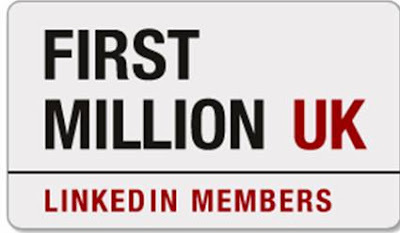 LinkedIn celebrates one million UK members - 10 tips to get the most from LinkedIn! It has definitely felt like LinkedIn has been getting more popular. In recent weeks I have been receiving more and more emails from people asking to link in with me, so it was no surprise to see that they have hit the million member mark in the UK! Randomly they are offering users a chance to "Add this limited-edition badge to your profile to show your status as one of the first million members in the UK." 1) Make sure you have filled in your profile properly. Your LinkedIn profile is a great opportunity to sell yourself and is effectively a public CV. Remember being on the LinkedIn network means that your details will show up if someone searches for you from within the LinkedIn network as well as if someone searches for you through a Search Engine like Google. 2) Give yourself a 'vanity profile.' Changing your LinkedIn profile address so that it contains your name and not just a collection of random characters will help Search engines to find you and will improve your ranking on LinkedIn searches. 3) Login regularly and try to enhance your connection list. This will make you more visible as you will show up in more Searches. People with the highest number of connections are at the top of the LinkedIn search results - the more you have, the easier it is for people to find you. If you meet someone in a meeting or at an event, ask to LinkIn with them at the next available opportunity. A great way of developing relationships and staying in touch with people. 4) Take advantage of the question and answer facility. A great way of canvassing opinions or finding out more information on a certain subject. Also good for positioning yourself as an expert in your chosen field. 5) Drive traffic to your LinkedIn profile by posting a LinkedIn profile badge on your blog or other web property. (Get this from the 'Promote Your Profile' page.) My badge is in the right column of this blog and links directly to my LinkedIn profile. 6) Use the function within "My contacts" that lets LinkedIn search your Gmail or Yahoo mail. Rather than you having to type in email addresses manually it will automatically find and recommend people that you can get LinkedIn with - clever, time saving mechanism. 7) When detailing your website don't just choose 'My blog' or 'My website' choose 'other'. It will then let you amend it to anything you want. This results in your profile detailing a specific web address rather than a general link like 'My Blog.' It also works really well for Search Engine optimisation of your site. 8) Remember who is looking at you. If you LinkIn with your boss, remember he or she will see every time you add a new connection. If you are LinkedIn with your team and then accept an invitation from a recruitment agent, remember that they will now have the names and details of everyone in your team - maybe not the cleverest idea? 9) List specialisms. People use Advanced Search to track people down based on their specialisms. Make sure you detail what you do and what you specialise in. 10) Keep checking to see if new contacts have joined (apparently 2000 new people join each day in the UK at the moment). Also if people didn't respond after a first request, ask them again and a third time if need be! If used cleverly LinkedIn has the power to be a very effective business tool. Following the tips above will help improve your LinkedIn experience and will let you get a lot more out of it. Now I have seen what it can do I think it will grow and grow and has the potential to IPO / sell for a lot of money at some point soon.